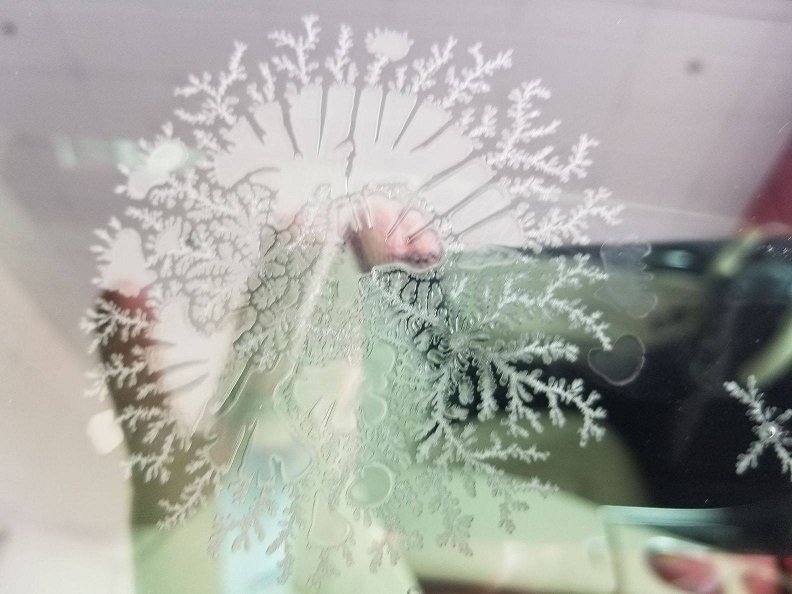 The picture here shows what Ice Flowering Defect looks like on laminated glass. Many vehicles now have laminated glass as a sound dampening feature to provide the occupants of a car with a more enjoyable experience during a long trip. Gone are the days of load road noise on most passenger vehicles. Now due to laminated glass, we no longer have to shout at the passenger next to us in order to carry on a normal conversation. The downside to laminated glass is it is more susceptible to weakened overall integrity and manufactures can - in their haste to mass produce - rush out glass that has a defect that appears like that in the picture. "LAMINATED AUTO GLASS NOTIFICATION: One of our dealers encountered a situation with the laminated glass on a 2019 Toyota Avalon everyone should be aware of since the blame may be placed on tint when it should not. It is a laminated glass problem." As this issue grows, many more manufactures and window tinting shops will become aware of it and will act accordingly. Because Ice Flower Defect is a manufacturing issue with the glass and NOT an issue with window tinting being installed to an automobile's glass, Carmeltint.com and DT Services Window Tinting will absolutely NOT be held responsible should your car develop this issue after we have serviced it. This position is not negotiable since there is plenty of evidence on the internet of glass failures developing Ice Flower Defect without tinting having been applied.